Nas and Kelis' divorce joins the lineup of high-cost breakups. Divorce in itself is ugly enough, but for the rich and famous, having all the expensive details fleshed out in the press is not exactly icing on top of the ruined memories of their wedding day. The recent nasty split of R&B couple Kelis and Nas is about to get very costly for Nas. On July 23, a judge ordered him to pay nearly $44,000 in monthly alimony and child support to the "Milkshake" singer, just hours after she gave birth to the ex-couple's first and only child. Nas has also been ordered by an L.A. Superior Court judge to pay $45,000 for his estranged ex's attorney fees. The former couple is due in court on Sept. 8 for a hearing regarding monthly support payments. Nas and Kelis aren't the only power couple to have expensive marital troubles. "Because of the Internet and the more salacious nature of global society, a lot of high-profile cases are getting played out in the media," said Laura Wasser, a Los Angeles-based divorce lawyer who has represented many celebrities. "It's not necessarily a good thing for the litigants or judicial officers. You should be able to have litigation as personal as a family law matter not open to the public." What makes divorce settlements so challenging? In contested divorce cases, each party involved has differing ideas of what assets -- ranging from real estate to stocks -- their soon-to-be former spouse is entitled to. "This lifestyle that these people have lived has been incorporated in the very soul of their being," said Malcolm Taub, a prominent divorce lawyer in New York. "Each of the parties has a sense of correctness and an absolute right to continue the life they had during the marriage." High-profile divorces can be especially painful in cases that involve a celebrity spouse and a nonfamous party. "One of the parties may feel dethroned," Taub said. "Usually that creates pain and usually the remedy of that is to seek at least a major share of the assets accumulated during marriage. Contested, high-profile divorces are fought with pain, issues and unfortunately a great deal of loss." Other ex-husbands, such as Michael Jordan, Craig McCaw and Neil Diamond, are all paying their ex-wives generous amounts of alimony. "There are always issues of valuation in high-profile cases, but there are also human issues," Taub said of big settlements. "People may want to avoid the spotlight of the public and are willing to make compromises in order to put the case behind them." While some high-profile divorces have managed to stay sealed (Texas billionaire David Saperstein is rumored to have paid his ex-wife more than $500 million), here's a look at eight of the most expensive divorces of all time. Hailed as the most expensive divorce in the world, Australian media tycoon Rupert Murdoch, 78, paid $1.7 billion of his assets, with $110 million of it in cash, to ex-wife Anna Murdoch Mann, after a bitter divorce. The ex-couple, who were married for 32 years and had three children, are now both remarried, but have had their fair share of heated debate since then. Only 17 days after the divorce was finalized in June 1999, the powerhouse behind the News Corp. media empire, then 68, married 30-year-old Wendi Deng, the newly appointed president of STAR TV and recent Yale School of Management graduate. The Chinese-born Deng accompanied Murdoch everywhere, and reportedly rejuvenated his youth and vitality. In October 1999, Anna Murdoch married investor William Mann, a two-time widower five years older than Rupert. His worth, in comparison to Anna's, was modest. Three years after the end of her marriage to Murdoch, Anna broke her silence and told "Australian Women's Weekly" the Rupert she knew and loved "died a long time ago." She also said he ruined the marriage by having an affair with his then-translator Deng. Murdoch, who is now reportedly worth $4 billion and is the 132nd richest person in the world according to the 2009 "Forbes 400," denied the claims and continued to expand to media empire with Deng by his side. They have two young daughters. 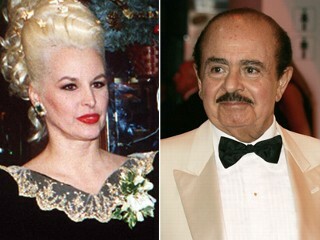 Saudi billionaire Adnan Khashoggi's 1982 divorce settlement with his UK-born wife, Soraya, is among the priciest battles in history, with reports claiming amounts as high as $874 million. When the international arms dealer married Soraya, then only 15, in 1961, he was still a man of modest means. During their 13-year marriage, Soraya served as Khashoggi's business partner and gave birth to five of his children. The marriage ended in 1974 and Khashoggi promised to continue to support his wife and children's lifestyle. In 1979, Soraya sued her ex for $2.54 billion, at the time the largest sum asked for in a divorce settlement. She walked away with a reported $874 million in an out-of-court settlement. Khashoggi, estimated to have been worth $4 billion at one point, has since lost his billionaire status. In 2007, the UK's Daily Mail reported the former Mrs. Khashoggi was earning a living as a florist. Divorce is nothing glamorous for the mega-rich, just ask Craig McCaw. The telecommunications pioneer made more than $11 billion in 1994 by selling his cellular communications company to AT&T. But a year later when McCaw divorced his wife, Wendy, who he met during his sophomore year at Stanford University, the billionaire had to fork over some of the prize. Wendy McCaw eventually ended up with an estimated $460 million, mostly in Nextel stock, Forbes reported. With the settlement money, she gained a spot on Forbes' 400 Richest Americans in 1998 but fell off just two years later. McCaw later wed Susan Rasinski, a former ambassador to Austria. Black Entertainment Television co-founder Robert Johnson made history in 2000 when he became the first African-American billionaire, after cashing in from a $3 billion deal with Viacom. Johnson made history three years later when wife and fellow BET co-founder, Sheila Crump, walked out of a divorce settlement with $400 million. Despite the expensive divorce, Johnson retained a lucrative portfolio that includes a recording studio, hotels and the Charlotte Bobcats NBA team. But the economic recession took a hit at Johnson's media and hotel investments. Forbes reported Johnson's current worth at $550 million. After the divorce, Crump became the first African-American female billionaire, though she is currently worth $400 million. In 2005, she married Hon. William T. Newman Jr., the judge who presided over her famous divorce. Roman Abramovich, the Russian billionaire turned Chukotka governor and owner of the Chelsea soccer club, reached a divorce settlement with ex-wife Irina in 2007, leaving her with $300 million and at least four homes in the UK. Roman Abramovich, who made his fortune in oil in the 1990s and later bought large stakes in steel and mining, and his wife, Irina, a former airline stewardess, were married for 15 years and had five children together. Rumors of a troubled marriage first emerged in 2005 when the self-made billionaire was seen out with model Daria Dhukova, the UK's Telegraph reported. The Abramovich divorce was finalized in Russia, a move that experts say saved Roman millions. Irina Abramovich reportedly consulted divorce lawyers in the UK, where under British law, she would have been entitled to half of her husband's assets. In 2008, Forbes named RomanAbramovich the world's 15th wealthiest man with a fortune worth $23.5 billion. Considered the greatest basketball star of all time, Michael Jordan also holds the title of costliest divorce in entertainment history. 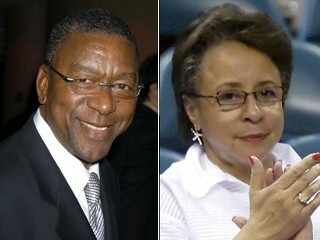 Jordan and his wife of 17 years, Juanita, reached a $168 million divorce settlement in 2007. 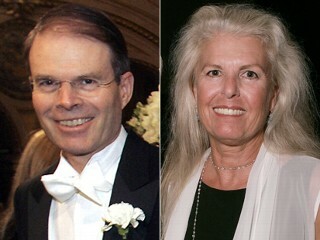 The couple filed for divorce in 2006, citing irreconcilable differences. The former Chicago Bulls and Washington Wizards player met his wife at a Chicago restaurant in 1989. Together, they had three children. Juanita first filed for divorce in 2002, but the couple reconciled a month later. In 2009, Forbes reported Jordan's worth at $525 million, making him the fourth wealthiest African American in the country. But Jordan's payout may soon be trumped by actor Mel Gibson's split from wife, Robyn. The Gibsons agreed to seal their divorce financial records, with Robyn Gibson expected to receive half of Mel's nearly $1 billion worth, People magazine reported in June. Singer-songwriter Neil Diamond didn't just make hit records, he also broke them: Diamond gave wife Marcia Murphey $150 million as part of their divorce settlement, the biggest celebrity divorce settlement at the time. Diamond married Murphey, a television production assistant, in 1969 before making it big with his first gold record, "Touching You, Touching Me." Murphey filed for divorce in 1994, citing irreconcilable differences. She ended up with half of Diamond's fortune, roughly $5.5 million for each of the 25 years the couple was together. Diamond later said Murphey was "worth every penny," Forbes reported. Prenuptial agreements seem to be a necessity in most celebrity marriages these days. Director Steven Spielberg and his first wife, Amy Irving, reportedly had a prenuptial agreement scribbled on a napkin. But when the couple, who met when Irving auditioned for "Close Encounters of the Third Kind," divorced in 1989, Irving was able to contest the prenup and walked away with $100 million, half of Spielberg's fortune at the time. According to Forbes, Spielberg and Irving had the third-costliest Hollywood divorce. The marriage lasted for four years and produced a son, Max Samuel. Spielberg, who is now worth $3 billion, married actress Kate Capshaw in 1991.